Is reasonable to pay $10 for general admission to a college sports game? Most often this will depend on the type of sport in question. Big hitters like football and men’s basketball will typically have steeper prices. Due to U of L’s success, steep prices are to be expected. Sports that draw less of a crowd tend to have more affordable tickets. Louisville soccer charges $5 for admission to Dr. Mark and Cindy Lynn Stadium — a more than fair price for a state-of-the-art stadium and flourishing soccer program. Of the 20 varsity teams at U of L, football, men’s and women’s basketball are the only sports to charge for every game. 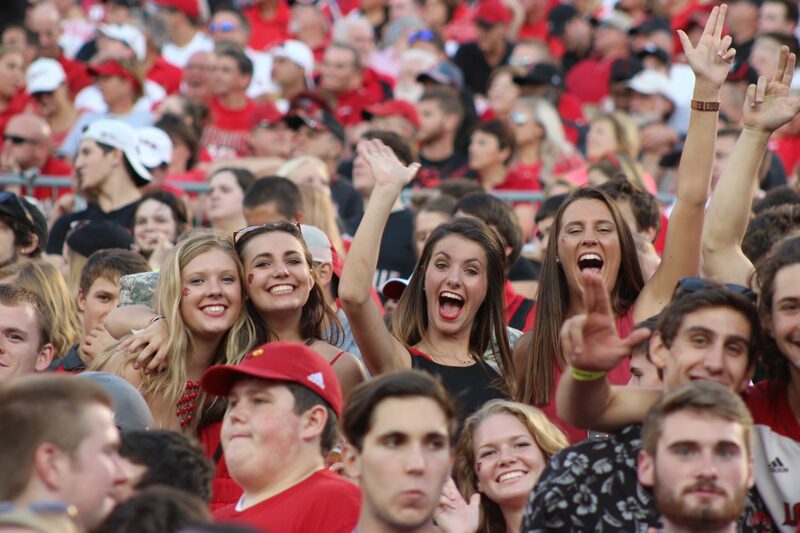 Now established as a major college sports town, how long will the majority of Louisville home games remain free? The U of L Athletic Association board recently approved a $104.5 million budget for the upcoming year, a $8.1 million increase from 2016-17. The board also approved raising men’s basketball tickets by $3 in order to pay a larger arena facility fee to the KFC Yum! Center. Furthermore, general admission for baseball is no longer free. It will cost $10 to attend a game at Jim Patterson Stadium in the upcoming year. Is the jump from free to $10 reasonable? Some might say yes, others no. Baseball has had such great success in recent years, one could argue that they should have been charging for entry long ago. However, a $10 increase from one year to the next is undeniably steep. It now costs more to attend a Louisville baseball game than a minor league Louisville Bats game. Additionally, it is worth comparing the $10 entry free to other college baseball programs and their ticket prices. LSU, Vanderbilt, Texas A&M and Texas each charge between $8 to $12 for every home game, depending on whether or not it is a conference game. As programs like these are comparable to Louisville’s in terms of success, $10 general admission into Jim Patterson Stadium does not seem as unfair when standing next to the others. Then again, the University of Kentucky – our friends down the road in Lexington and Louisville’s own opponents in this past season’s NCAA Super Regional – charges only $5 for general admission to baseball home games. Whatever the case, Louisville has an extremely faithful college sports fan base. Whether it be football on a Saturday night, soccer on a weeknight, or volleyball on a Sunday, you can always catch Cardinal fans young and old on the sidelines. Ticket prices may not be a hindering factor for them, but only time will tell.